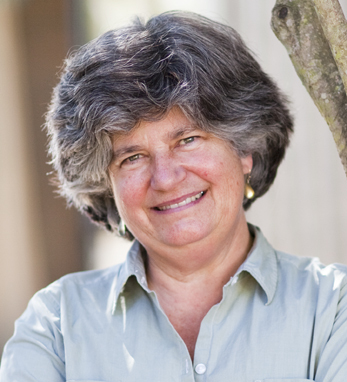 Sue Conley is co-founder of Cowgirl Creamery, which she started in 1997 with Peggy Smith (also recognized on this list) in Northern California. Today, the two of them operate a cheese distribution company, two retail shops and two cheese production facilities, and work with a staff of 100 people to produce and distribute artisan and farmstead cheese. Born in Washington, D.C., Sue has been working in the food industry nearly her whole life, beginning with watching her grandfather work at Sholl’s Colonial, a D.C. cafeteria he managed throughout her childhood. After arriving in San Francisco in 1976, Sue held various roles in the kitchens of some of the Bay Area’s most notable establishments, including Hotel Obrero, 4th Street Grill, and Bette’s Oceanview Diner. Sue’s Irish heritage runs deep. The Cassidys on her mother’s side hail from Donegal and the Conleys on her father’s side from County Clare. Her great grandfather, Patrick Cassidy, owned an Irish pub in Macon, Georgia and is credited with funding the stained glass window behind the altar at St. Joseph’s Catholic Church downtown. She holds a bachelor’s degree from the University of Tennessee.